PESHAWAR: Protests against heavy loadshedding continued in the Khyber Pakhtunkhwa on Monday as angry consumers damaged the Peshawar Electric Supply Company (Pesco) installations in Bannu and rallies were staged in other parts of the province. The worst situation was witnessed in Bannu where protesters ransacked the Pesco offices to vent anger over the continued power suspension to the area. After marching on various routes, they reached the Pesco Circle Office on the Bannu-Dera Ismail Khan Road and set it on fire, destroying the official record, computers, furniture, vehicles and motorcycles. Some of the protesters were seen firing shots in the air. Later, the police arrived and fired teargas shells to disperse the mob.In Dera Ismail Khan, the residents and traders staged a protest against the unscheduled loadshedding. Led by Ali Muhammad, the traders took out a procession against the long power outages for up to eight hours in the main commercial markets, including Gomal Market, Bukhari Bazaar and Kalan Bazaar. 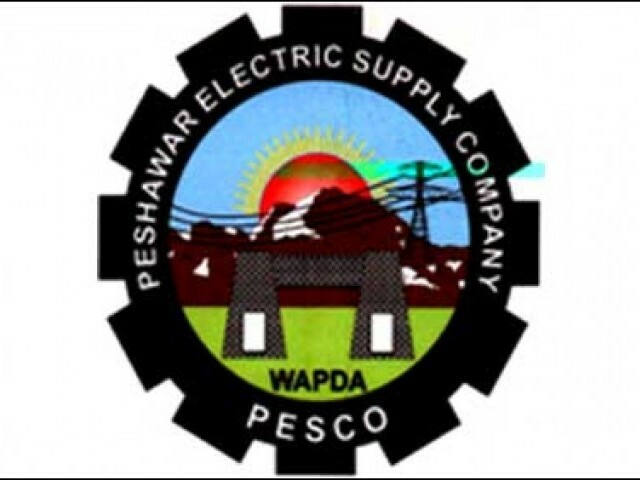 They chanted slogans against officials of the Pesco for not repairing the main transmission line from the grid station. The protesters threatened to take extreme steps if the government and Pesco failed to repair the main line. In Nowshera district, the residents of Rashakai town took out a procession against the hours long loadshedding. Led by Jamaat-e-Islami (JI) district vice president Inayatur Rehman, the protesters blocked the Grand Trunk (GT) Road for seven hours at Rashakai and at Shobra Chowk. Speaking on the occasion, Inayatur Rehman, Ayub Zia Ismail, Sardar Shaukat, Jehanzeb, Rizwan and Abdul Manan said Pesco officials were carrying out unscheduled loadshedding even during the Sehr and Iftar times despite the federal government�s announcement of no loadshedding during these timings. They said that fluctuation of power and low voltage damaged the household electronic items and caused a shortage of water in houses and mosques. The consumers alleged that the officials of Mardan grid station were getting bribes from the owners of marble factories in the Rashakai Industrial Estate for uninterrupted power supply while the poor consumers were facing heavy loadshedding. They threatened to attack the Mardan grid station if the Pesco officials did not stop the ruthless loadshedding forthwith. The passengers, including women and children, faced lots of problems during the road blockade for seven long hours. Most of the passengers used other routes to reach their destinations. The police miserably failed to disperse the protesters and open the road. However, the police registered the case against 55 persons, including JI leader Inayatur Rehman, Ayub Zia Ismail, Sardar Shaukat, Jehanzeb, Rizwan and Abdul Manan. Also, scores of people took to the streets in the Shinkiari town and in Mansehra against the loadshedding.The people gathered outside the offices of Pesco chief engineer and raised slogans against the government. The protesters demanded uninterrupted power supply to their areas and threatened to block the Karakoram Highway if the duration of loadshedding was not reduced.A large number of people took to the streets in Shinkiari after Iftar and blocked the Karakoram Highway. The protesters set tyres on fire and raised slogans against the government and Pesco authorities. The protesters dispersed after Mansehra Deputy Commissioner Zulfiqar Shah assured them of fulfilling their demands.The residents of Darra Pezu in Lakki Marwat district threatened to attack the Pesco installations if the government did not resolve the issue of long hours of loadshedding and low voltage. Talking to The News, people said they were facing tremendous problems due to the unscheduled loadshedding even at Sehr and Iftar.